We invite you to come see and experience all the memory making moments that make St. George a premiere world class destination. THE NEW LAS PALMAS RESORT ! New water slides and HUGE splash pad will be ready for our grand opening on presidents day 2019 weekend ! 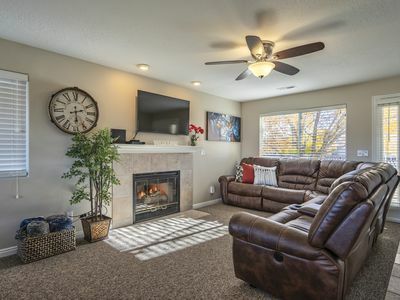 INDOOR POOL & HOT TUBS for year round family fun! PLAN AHEAD ! So much to see and do year round! 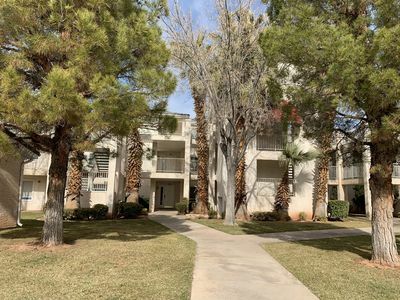 Come enjoy this 3 bedroom, 2 bathroom Condo!! 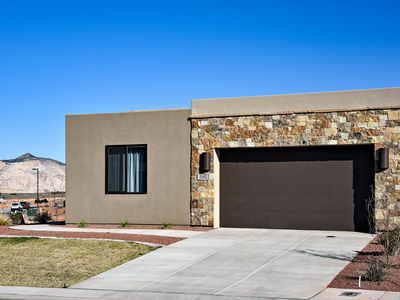 This larger end unit condo with stunning views! 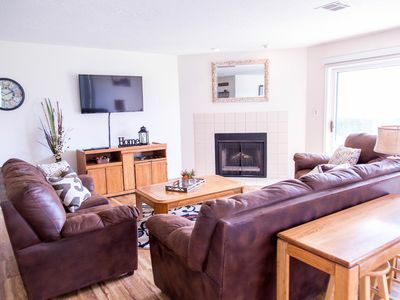 Sleeps 10 plus!! W e have just UPDATED! New Carpet and Paint ! SUPER CLEAN! New comfortable Beds and linens. Tasteful Decor. Close to EVERYTHING there is to see and do. 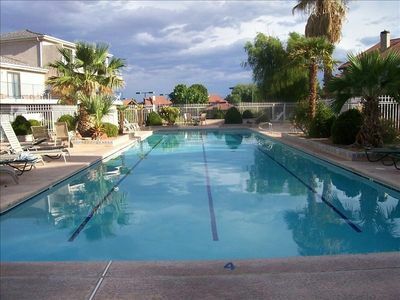 Walk to 6 pools for year round family fun! 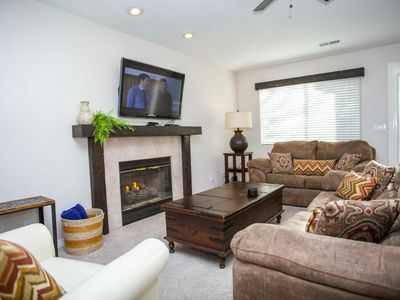 Relax around the gas fireplace! Or cool off with awesome AC! Large dining room table with 8 + chairs and room for more. 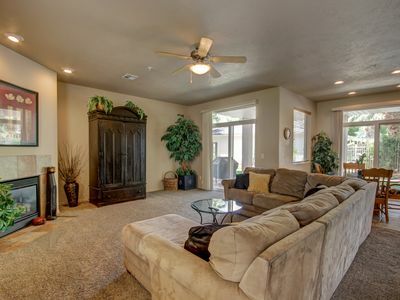 Step outside on to the spacious private balcony and relax. Seating for 8+ and enjoy the quiet shaded amazing views of Green Valley and the red cliffs of Iven’s. 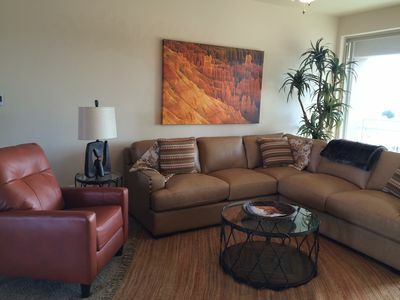 New Large sectional with 3 electric recliners. Also 2 new recliners. 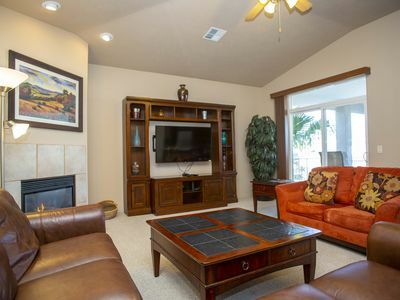 Family room has a large flat screen TV, with 135 cable channels, NETFLIX, NEW Blu-Ray and DVD player. The kitchen has NEW gas stove, microwave and refrigerator with ice and water. NEW SUPER QUIET Dishwasher. New natural gas BBQ, Washer and Dryer. The Unit has a Water softener, iron and ironing board. 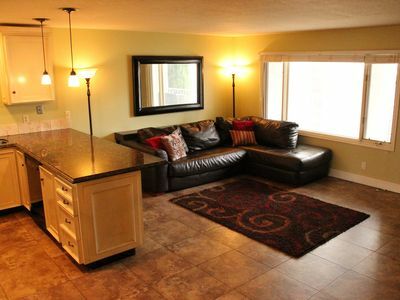 The cabinets are stocked with all NEW dishes, glasses, utensils, new non-stick cookware, electric griddle, coffee maker, waffle iron, Crepe maker, Crock Pot, Wok, hot chocolate maker, blender, toaster, mixer, cookie sheets, glass bowls., beaters and just about everything you would possibly need ! Salt, pepper, assorted seasoning blends... sugar, Pam, and it's new and fresh ! we check ! We supply plenty of laundry soap and dryer sheets for the washer and dryer. The Unit has a Water softener, iron and ironing board. dishwasher tablets, dish towels, wash towels, dish soap, scrubbing pads & brushes. Plenty of paper towels! and trash bags. highchair & booster seat for the kids! Master suite has a comfortable King Size bed, 2-night stands with clocks with USB chargers. large flat screen TV. 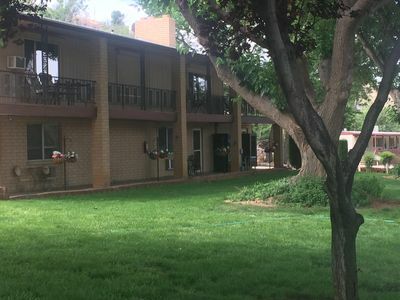 with 135 channels, ceiling fan with remote control, a six-drawer dresser, a large wing chair with reading lamp, Huge walk-in closet has 2 sleeping pads. Portable crib. Extra blankets and pillows. Folding heavy duty wagon to haul your food & drink from your car or carry small kids and towels & toys to the pool. Also lots of games for all ages! pool toys etc. Master bath with soaker tub and hand-held shower. The master also walks out to balcony! Bed #2 has 2 NEW Queen size beds, with all new Serta perfect sleeper mattresses and new linens throughout, ceiling fan with remote control with large flat screen TV, with 135 channels, clocks with USB chargers built in, and a closet. Bedroom #3 Roomy with 1 Queen and 1 twin bed. 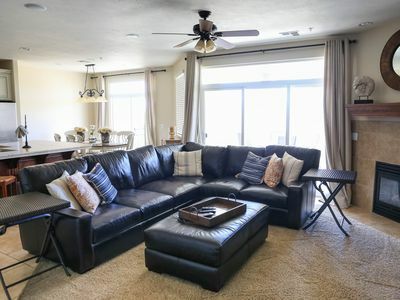 A 4 drawer dresser with large flat screen TV with 135 channels, ceiling fan with remote control, night stand with clocks with USB chargers built in. And a closet. All bathrooms have blow-dryers.A short walk across the street are 2 separate pools and hot tubs. Playgrounds for children are close by. Also included in your stay is a pass for 12 to access the accommodations at the Las Palmas resort located right next door. Outdoor pools include, children's pool, Large swimming pool and diving pool. INDOOR POOL and 2 hot tubs. Basketball, pickleball, . Work out room. Family barbecue area. PLAN AHEAD! So much to see and do! Tuachan outdoor theater is alive with all new Shows for the 2019 season AFFORDABLE FAMILY FUN YEAR ROUND. 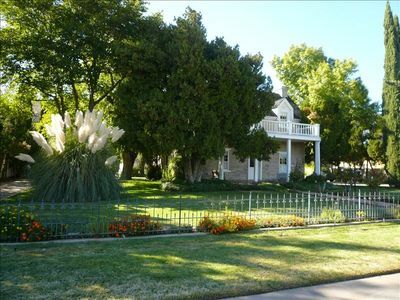 Come and see everything the Saint George area has to offer. 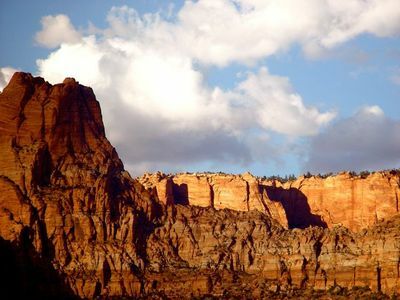 Zions National Park. 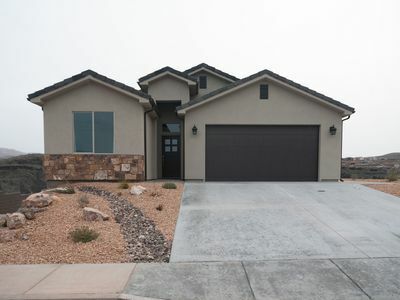 Snow Canyon, Tuacahn, Arts Festivals, Music Festivals, Senior Games, Parade of Homes, Sand Hollow State Park, Endless trails for biking and ATV's. Hiking. Lots of sun and R&R. The possibilities are endless! PREPARE TO HAVE FUN! SO MUCH TO SEE AND DO! GOOGLE THE AREA. USE TRIP ADVISOR TO FIND ALL THE WONDERFUL PLACES TO SEE AND TO EAT. AFTER EACH USE. MAKE SURE GARAGE IS LOCKED. You've GOT to see this View! 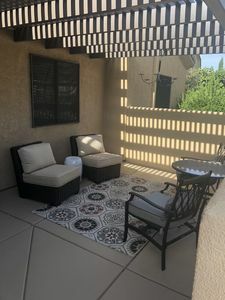 3 BD Las Palmas Resort Condo with Full Access! 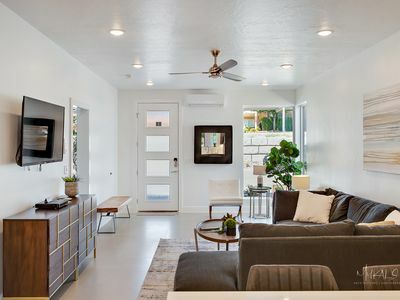 Las Palmas-Fun, CLEAN, Spacious, Modern. Inqire on last minute specials! 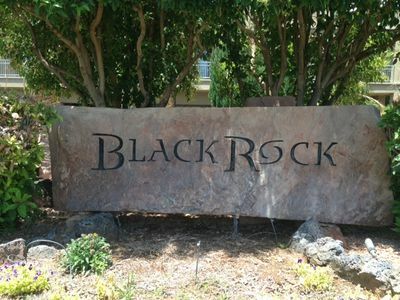 Newest VRBO Condo In Exclusive Black Rock! 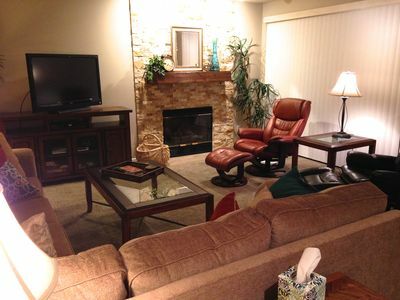 Red Rock Retreat The Ledges Golf Club *Resort Amenities Included! 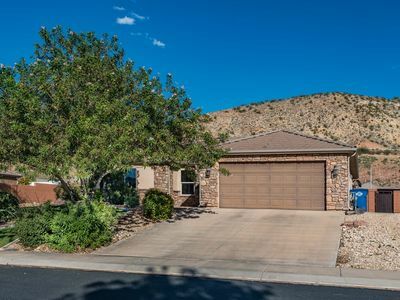 Mountain View is conveniently located close to Zion's, Bryce & Grand Canyons. 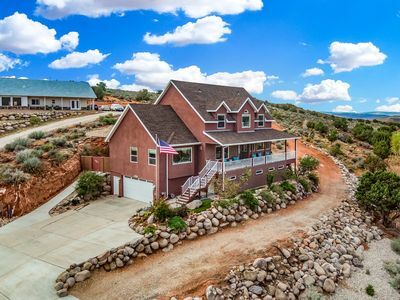 Red Ridge Vacation Rental - Near Zion and other National Parks!